These are the cookies that are the way to The Boy’s heart. Every time that I make them for him he gets this far away look in his eyes and lights up like he’s just spotted a litter of kittens. That’s good, by the way. 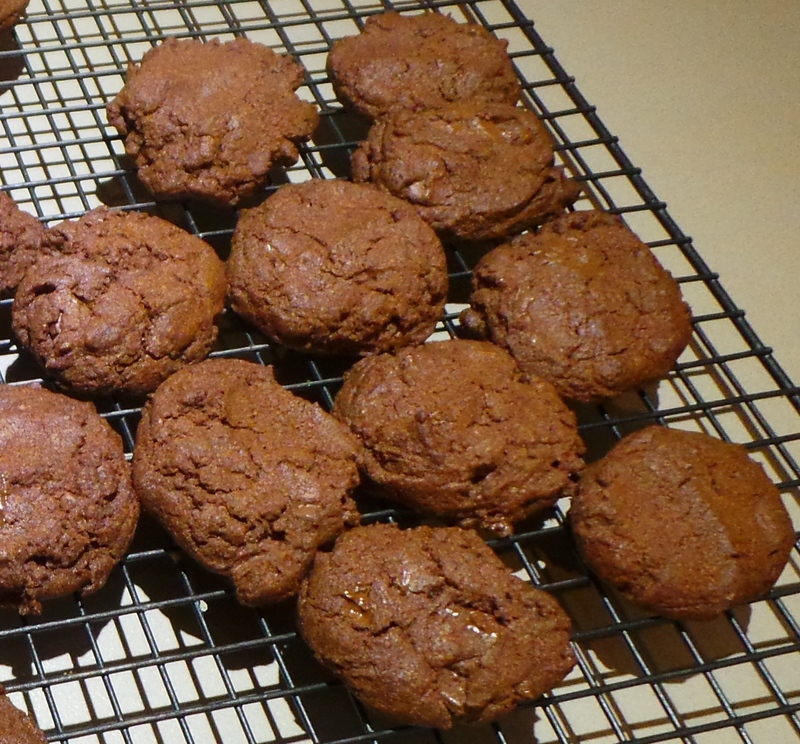 This recipe is basically a riff on the Condensed milk chocolate chip cookie recipe I have posted previously. 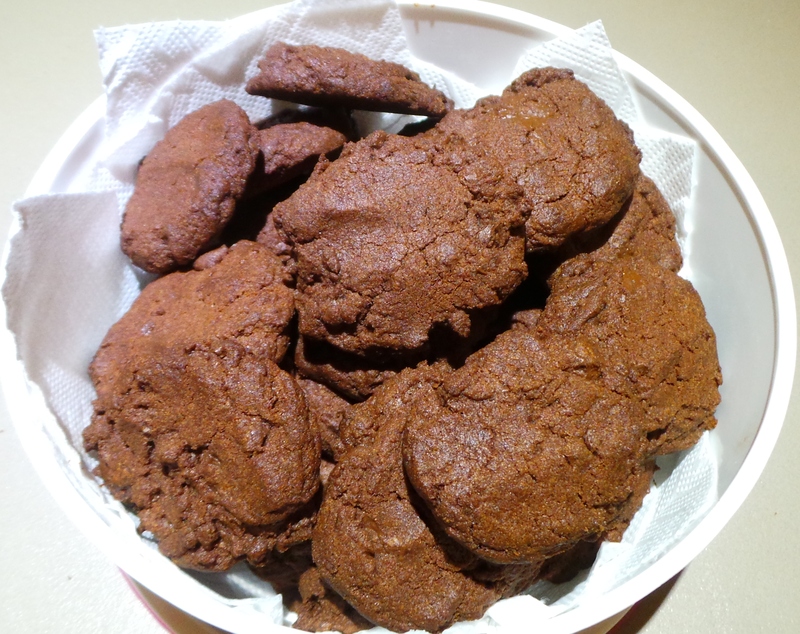 I substitute a few tablespoons of the flour for dutch process cocoa, use chunks instead of chips of chocolate and add a sprinkling of sea salt. It all works. It begins with creaming softened butter and caster sugar. Then you whip in the condensed milk until combined. Condensed milk joins the mix. Measure out your plain flour, add the cocoa ( I use Dutch process, but you don’t have to) and sift together with the baking powder. 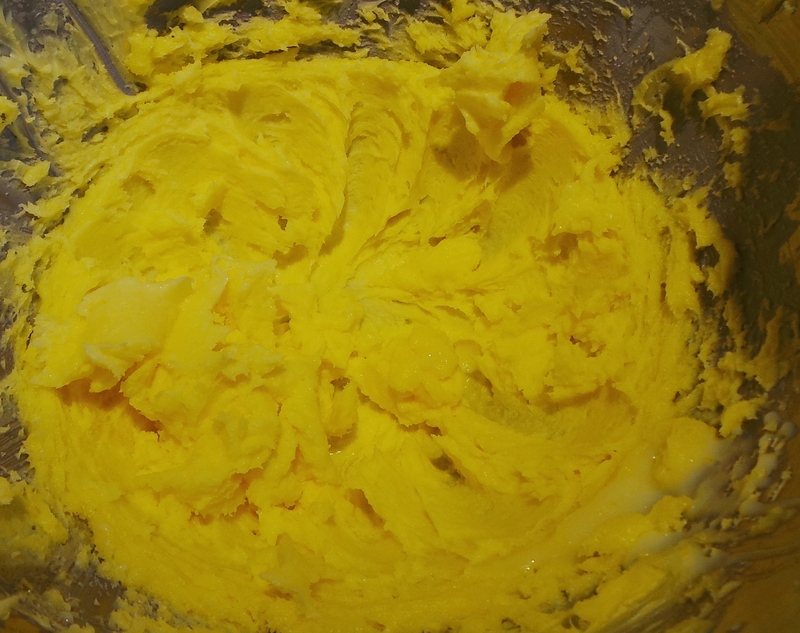 Add the lot to your butter mixture and stir well. That just looks decadent, doesn’t it? Now, you may choose to use choc chips for this part of the recipe. I use a ‘family-sized’ block of dark cooking chocolate that I have placed in a paper bag and smashed to smithereens with a meat mallet. If you wish to smash things too then you can use whatever heavy implement you have to hand. Enjoy this bit. Add your chips or chunks of chocolate. 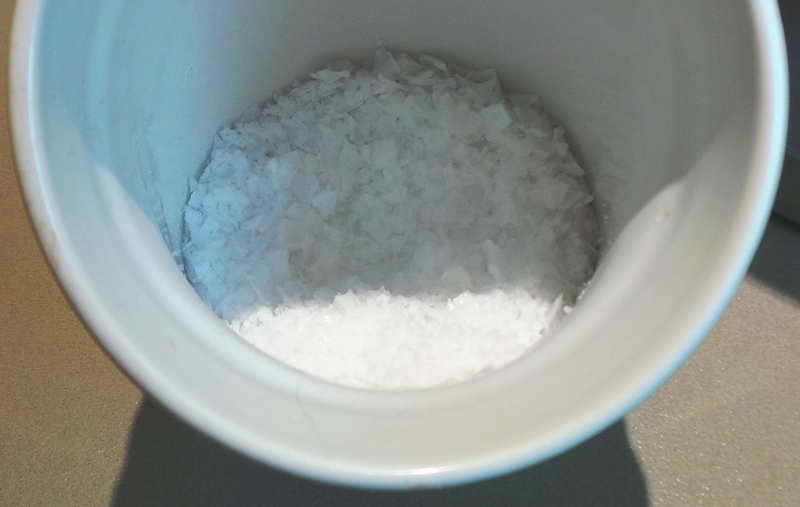 For a really special touch, add a good pinch of sea salt flakes. The touch of salt serves to intensify the chocolate flavour beautifully. I haven’t tried this with milk chocolate, but with dark chocolate it’s pure heaven. Use a pinch of sea salt flakes. 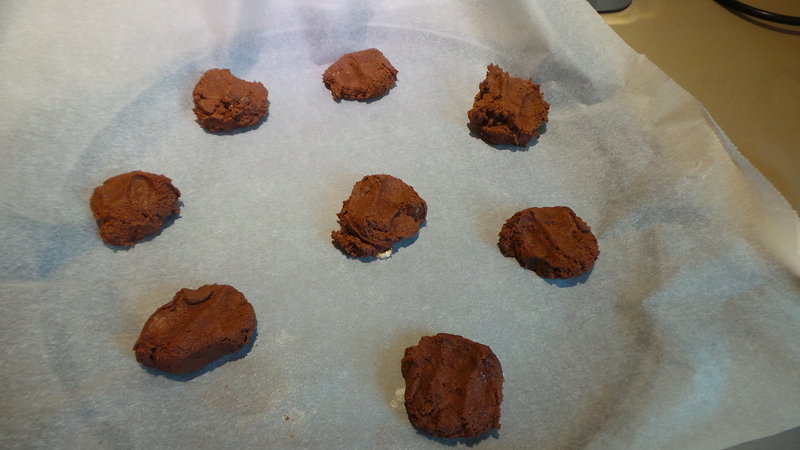 Use a metal ice cream scoop with a 1 inch diameter to measure out the cookies onto a paper lined baking sheet. 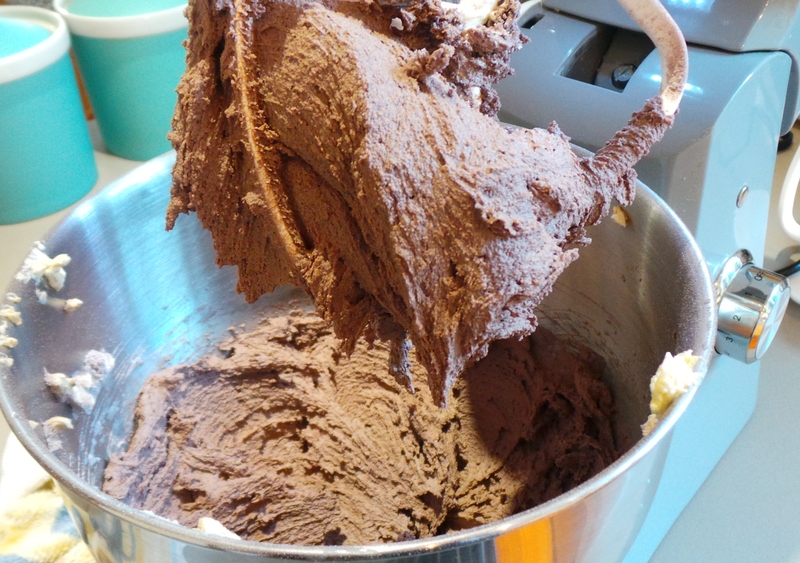 Use a 1″ scoop to measure out your cookies. Press down gently on the top to flatten slightly and pop into a moderately hot oven for around 15 minutes. If you forget to flatten them, then bake for 20 minutes. Not that I have ever forgotten this step, you understand. Ahem. Leave them to cool for 5 minutes on the tray before removing to a cake rack to cool completely. They will still be soft when you take them out of the oven. Also, DO NOT eat a hot cookie. Melted chocolate will burn. You have been warned. Let your cookies cool completely. Prepare to look for kittens. Line one or two baking sheets with baking paper. Beat the butter and sugar together in a large bowl until pale and creamy. Pour in the condensed milk and beat to combine. 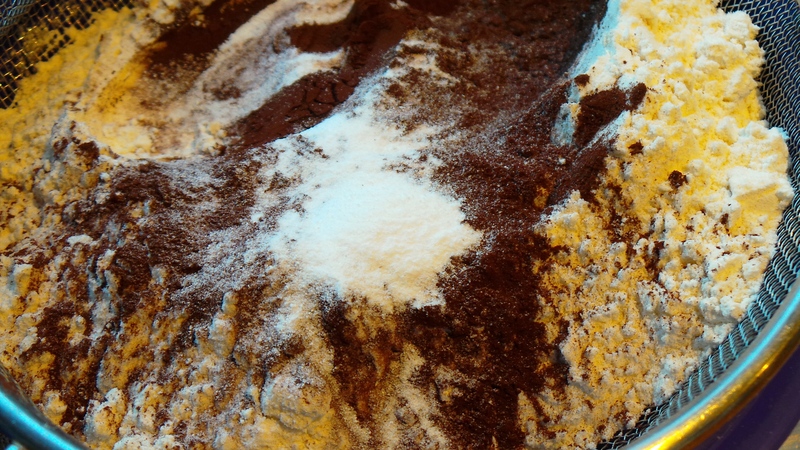 In a separate bowl, sift together flour, cocoa and baking powder. 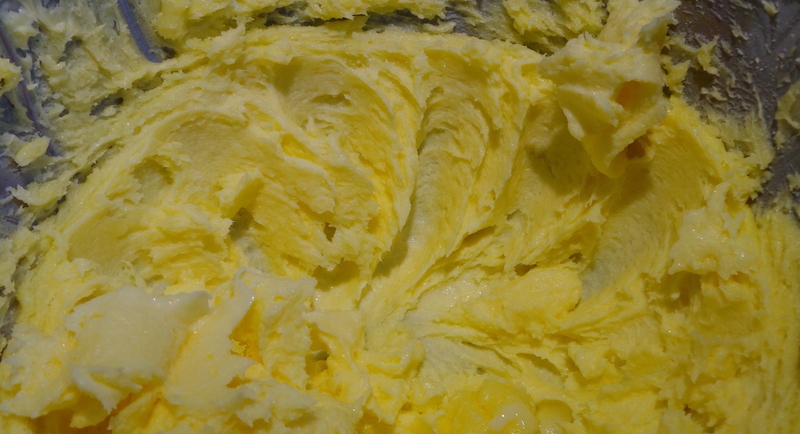 Add to the butter mixture and mix to combine. 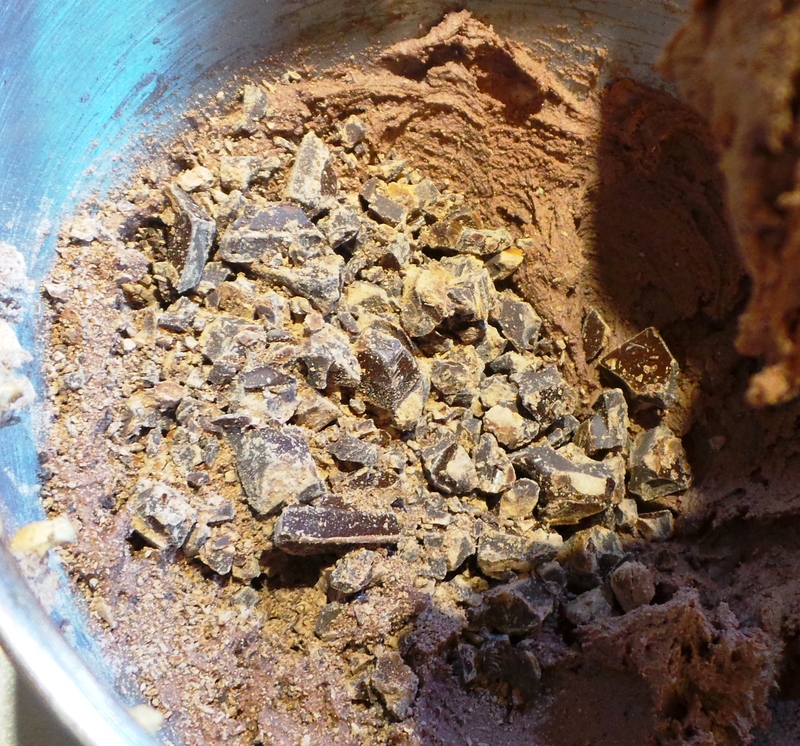 Add the chocolate pieces and salt flakes and stir well. Bake 15-18 minutes or until golden. Remove from oven and allow to sit for 5 minutes before transferring to a cake rake to cool completely. Cookies will harden on standing. 15 September, 2015 – Curry in a hurry.